New Zealand’s gambling market is developing and growing at a rapid rate; however, the wealth of research into the topic is quite sparse – especially when it comes to underage gambling. Most studies only take into consideration the gambling behaviour of those over the age of 18, disregarding the gambling habits of underage players. A group of researchers at the Auckland University of Technology has decided to delve into the issue. The study takes into consideration the gambling habits of first-year university students, offering insight on a topic about which very little is known. Among young New Zealanders, playing the lottery, making bets with friends and playing pokies and other electronic gaming devices are the most popular forms of gambling. The number of underage players taking part in these activities is similar to those in Australia and North America. In general, New Zealand’s underage participation in these activities is higher than Australia’s. 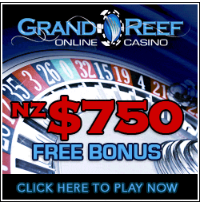 Additionally, a growing portion of young gamblers in New Zealand are reaching out for help. In the year 2000, 13% of all calls made to New Zealand’s Gambling Hotline were from individuals under the age of 25. A year later, the number had grown to nearly 15%. The growing rate of young problem gamblers in New Zealand highlights the need for greater care for underage gamblers in the country. In addition to working on general gambling reform, the government is urged to put money toward education and counseling programs aimed at young gamblers. Youth problem gamblers can also seek out assistance from New Zealand’s Problem Gambling Foundation. Rather than dealing with the issue one-on-one, this program aims to get the gambler’s friends and family involved for moral support. The program also deals with underlying issues that may lead to gambling addiction, such as depression and anxiety. As a result of the increase in problem gambling among young people, a great emphasis is being placed on the issue. For example, the recent document, Supporting the Wellbeing of Young People in Relation to Gambling in New Zealand, is aimed at raising awareness of underage problem gambling. Additionally, the Gambling Act 2003 made specific provisions in outlining acceptable gambling ages. It seems like there is still a long way to go before youth problem gambling is no longer a problem in New Zealand. However, it is a positive thing to see the government and many charitable organizations doing their part to educate and counsel young New Zealanders. To read more about youth problem gambling in New Zealand, click here.